Kenzo's self-appointed job is to keep an eye on things. To be a Hovawart or not to be. It is hard work. A lot of responsibilities. Not now dad, I am working, I am keeping an eye on some hikers. Oops, I moved. Did I still looked good? It is not a coincidence Kenzo sits on that little porch on the side of the house. It is his favorite stake out place. He has a full view to the path that goes through the forest where people hike, and if he just turns his head to the right he can see through an opening in the fence - in the pictures behind him - to spot if someone is coming on the driveway that leads passed our house to the neighbors. Everything is under perfect Hovawart control. If you have a reactive or aggressive dog it can be difficult to find travel destinations. Like it is with our Viva. We can't just travel anywhere and visit any place. Even when a place is labeled "Pet Friendly", it might be the opposite of what a reactive dog like Viva would need. When you are "reactive pet travelers" like us, you might want to consider a visit to Norway. If you like hiking, it is the perfect country to visit with a reactive dog. Imagine enjoying the beautiful sights of the fjords and mountain sides, the northern lights, the wild-life. All while you know your pet is enjoying it just as much as you do. Dogs must be leashed from April until August in the whole of Norway, to protect life-stock and wild life. Some areas even require a leash the whole year round. Our experience is those laws are not just window-dressing, we never met an off leash dog on our hikes. For us reactive pet travelers it is a gift. We don't have to worry about meeting off leash dogs on the trails. And because we use a long leash with a harnass, we still have plenty of room to move and romp about. Several signs continously remind you of the leash laws, not by just stating "Forbidden...", but with an explanation why it is necessary, and closing with a friendly "Takk" (Thank you) for being a responsible dog owner. Now that's positive reinforcement ... for dog owners. Clever Norwegians. You'll never find a sign "Private property - No trespassing" in Norway. They do have private property though, you didn't end up in a communist country, but they also have a law called "Allemansret" ("every man's right"), that allows you to hike through - even camp and forage on - private property. That means you can always frind a trail or a camp spot, where you can enjoy some privacy with your reactive dog, or maybe to avoid the busier trails and find your own path. Also here you can find these positive reinforcement signs where the property owner asks for some consideration of dog owners for his life-stock, like we met on one of our hikes as you can see on the picture. What a wonderful thing, that someone allowed me to take my dogs through his land with sheep and thanked me ahead for my consideration. There are of course restricted areas where dogs are allowed off leash. Not just the obvious dog park, but you can also stumble upon them while hiking. We came across a small island which was used for dog training and therefore, dogs could roam free. No need to worry though that you will just run into them, these places are clearly marked and they are not too big. You can just follow another trail around it. I really enjoyed the sign explaining their could be off leash dogs ahead. 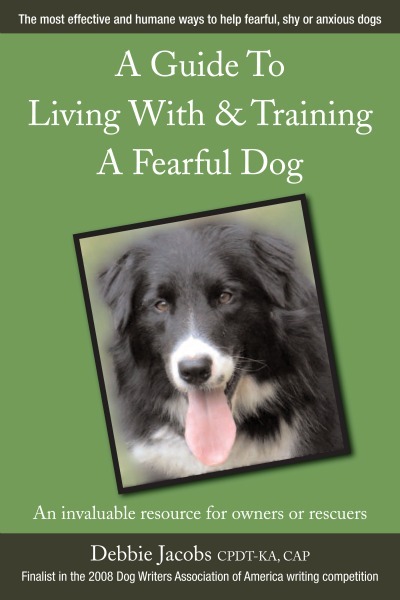 It even explained for people what to do if they would encounter such an off leash dog. "Do not run. Remain calm and avoid eye contact. Do not pet or talk to the dog." Yes, it can be that simple to act on some bite prevention. Kudos, Norway. This is just my observation, but I found Norwegian dog owners very empathic towards us reactive pet travelers when I compare it to Denmark, where we live. When we meet other - leashed - dogs on the trail I always moved slightly off the trail to let them pass on a distance, so Viva would not get upset. And many times, people thanked me for it! "Takk so mycket" (Thank you so much) they shouted, "my dogs doesn't like other dogs". We gave a smile back "Same over here, you are welcome!". This is a positively reinforced Valhalla! It is not only written on signs, the Norwegians practice it too! There are a lot of camping sites and cabins for rent. And you won't have to look far for a location where there is enough room between you and the next dog owner. We really enjoy this room and space. Viva doesn't get upset by barking, or growling, neighbors. I don't have any numbers on it, but my best guess is that 30% of all facilities have a "Pet allowed" policy. No special signs here unfortunately, just the usual scoop your poop! Applying positive reinforcement on poop-scooping might be a bridge too far, even for those inventive Norwegians. Compared to Southern-European countries, the feral or stray dog is virtually non-existing. Norwegians keep their dogs as pets, and don't let them roam free. Actually there are not that many dogs in Norway at all. Only 0,7% of all dogs in Europe reside in Norway. The probability of running into a feral or stray dog are therefore the lowest you can get in Europe, and that is good news too for us reactive pet travelers. I hope you consider Noway, I am sure you'll love it as much as we did. If you like to read more about our Norway trip you can find it here. And if you do, here is a sentence you might need: "my dog is not friendly" in Norwegian is "hunden min er ikke vanlig", pronounced as "hoenden min r ik venli". And you probably receive a "Takk so mycket!" in return. The Hovawarts in the shelter welcomed an unexpected V.I.P. visitor, the Danish Minister of Agriculture & Animal Welfare. Mette Gjerskov paid them a visit to learn more first-hand about the "puppy mill case" and the efforts from "Dyrenes Beskyttelse" to re-home the survivors. On the photo you see Mette Gjerskov - on the right - probably getting her first ever Hovie Hug in life. The puppy in the photo is Barney - the staff nicknamed him "Barney Police Officer" - a 2 months old Hovawart pup. How appropriate, it was "Barney Police Officer" to be the spokesman for "our" Hovawarts. And before you get your hopes up, Barney is adopted, and is moving to his new forever home soon. Would the puppy mill meltdown have attracted massive attention from national media, I probably wouldn't have given the visit a lot of thought. But as it didn't, and coverage of the events so far was restricted to local papers, radio and TV, this visit was not meant as yet another attempt of a politician doing some window-dressing in front of flashing camera's. Undoubtedly, the many mails and signed petitions you send to Mette Gjerskov voicing your concerns, have played their part in making this happen. And Mette's interest therefore seems genuine to me. I am confident that "our" Hovawarts and "Dyrenes Beskyttelse" planted a little seed for the longer term aspects of this case - to make sure this never can happen again - and send Mette Gjerskov back to Copenhagen with some food for thought. "Their spirit is not damaged beyond repair. They are seeking human contact already, and want to hug and play, as soon as somebody enters the kennel." The dogs spend a lot of time outdoors, and are outside the whole morning on the large seven-hectare ground that surrounds the shelter. They also spend time out in the afternoon and evening. Rikke Christensen-Lee informed me concerning possible adoptions abroad, that the shelter prefers families from Denmark. They think travel could stress the dogs more than they can handle at the moment, and they will have to be held an additional 4 weeks in the shelter due to the required rabbis vaccinations for travel. But the shelter welcomes everybody to apply. Note that they will require you to meet with them face to face, in Denmark, as well. Fetch is not Kenzo's favorite. It's a Hovawart thing. He enjoys the Never-Leave-Home-Without-It toy for another game. Hey dad, try to pass me if you can. Maybe add some healthy competition to keep it exciting for you as a soccer fan, dad. Got it! You loose. Again. Earlier than expected the first dogs from the former puppy mill already went up for adoption, and ... were also adopted. So far 8 dogs are adopted. 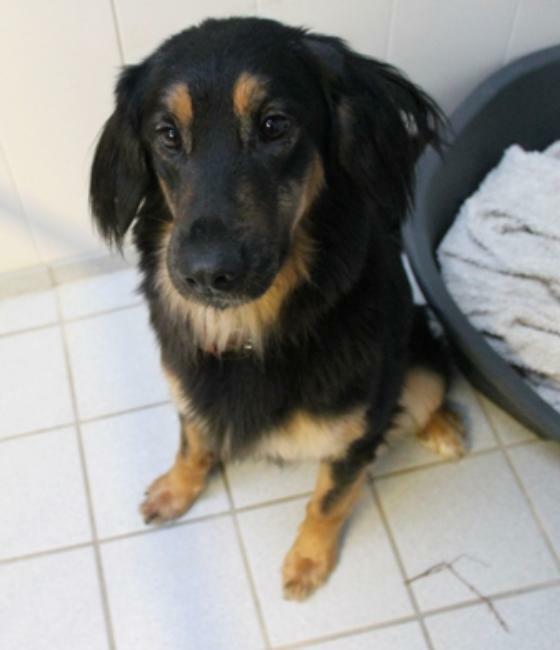 Earlier during the week the first of the puppies started appearing on the adoption site, and yesterday the first grown-up Hovawart, Bella, almost 4 years old, was put up for adoption; a milestone. Bella is still shy, but the shelter noticed she already made big steps forward on a daily basis, so they were confident Bella was ready to make the next step. Amazing, as it is only a week after they were seized. Dogs are so resilient. What does that mean? Can you summarize instructions for the rest of Bella's life in one or two short sentences? What does it require to take care of a shy, anxious or fearful dog which had a life so far confined to the inside of a cage in dark stables, deprived of daylight and social interaction with humans? "The most important point at this time for these dogs is that they feel safe, have their choices for distance respected and receive LOTS of good food treats and if they want, playtime with the people or other dogs in the house." "If these dogs are going to be successful it's going to be because their owners are able to respond appropriately to behaviors they are seeing. Thankfully even many of these dogs who have suffered so much or been deprived, can become successful pets." When you are not a natural like me, and you consider to adopt one of the dogs, you might find Debbie's blog very helpfull. A great place to start exploring all the resources available is Getting Started, and just take it from there. Or if you like it better, consider the book. You are on a mission. It will not happen overnight. Some of the things you do today and cherish, you might have to find alternatives for. But the reward of success for you and your dog will be a bond that goes so deep, you not have thought possible. It will have its ups and downs, but it will definitely be worth it. At least, that is how I feel now, looking back at the journey of Viva and me so far. Back to the dogs. The shelter mentioned the interest for the Hovawarts is a lot less than for the Golden's. Maybe understandable, as the Golden's are a lot more well-know to most families. On the other hand you will read with most Hovawarts in the accompanying requirements-text that a family with Hovawart experience would be preferable. That makes me wonder. There are not that many Hovawart families in Denmark. Most of them are torn beforehand by the 20 year's existence of this puppy mill and having advocated not to buy from the puppy mill. Therefore I hope that the shelter will soon accept adoption requests from experienced Hovawart parents from surrounding countries as well. 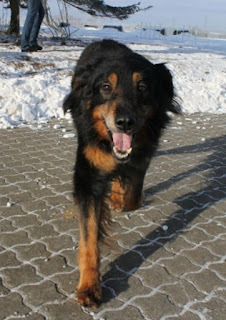 Or maybe even, overseas, although the shelter rightfully worries the long travel might be too stressful for the dogs. 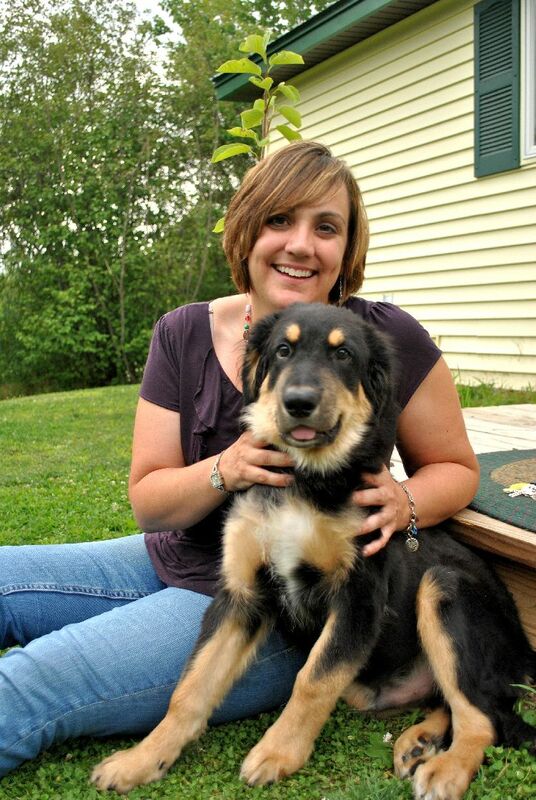 And to keep the best news to the end: I just learned that the first Hovawart puppy was adopted by a family. Her name is Stella, only 5 months old. She is a careful little girl and her new family will provide her with a calm environment just to her liking. Wishing Stella and her family all the best. I am delighted. I almost can't believe this is happening now. Stella will soon make her first new steps in life, into the light and with her freedom regained. More will follow. I wish I could be a fly on the wall with them all. You can find the adoption page here. Inquiries can be send to internat (at) mail (dot) dk. Recently I had a talk with "Gill", a summer worker in the dreaded Danish Hovawart puppy mill we all have learned so much about in the past week. And she very much want to share what she experienced on the inside. "Gill" worked in the Hovawart puppy mill back in 2001, long before the recent developments where all dogs ended into such a severe state of neglect and maltreatment. But already in 2001, their life was confined to a cage. "I was a teenage girl and had to earn money for my college. 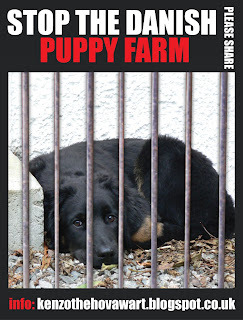 I didn't knew a lot about puppy farms. At first I was shocked to see 100 dogs that had to live in a stable like horses. Not seeing a blue sky at all. Later, when I noticed the inbreeding that was going on, it became even more frustrating to me. I had to close my eyes for this and do the best I could for the dogs instead. But it was too frustrating, I had to leave." "The house looked just as normal house, but it was very messy at the same time, as there was puppies in every possible corner. Of course when people came to take a look for a pup the living room/kitchen was cleaned and coffee was made. But the stables where the dogs were held was made of metal crates with wooden partitions. each box was approx 1.5*2.5 meters. With two dogs in each. They lived on wood shavings, and I had to muck out every morning. The stables were clean at that stage. And the mums with newborn pups (there was about 1 to 2 litters each month) lived in another side of the stable which I hated to clean as there was no air at all. It smelled like hell. "Helle" [note Kenzo: pseudonym for the owner] took care of them mostly herself together with her daughter. Food once a day, muck out, water twice a day. That's all attention the dogs got." "I took some of the dogs for a walk, as they were badly socialized. only sitting in their cages. I went out for walks to the nearest forest. They had a beautiful girl imported from Germany, she was very shy, so I tried to socialize her as much as I could. She was lovely. They all were. They wanted to be loved as every dog does. "Helle" was shocked if I went out with some dogs for a walk of an hour or two. She said they are not used to such long walks." "We mostly only went to the clinic to chip, vaccinate and do x-rays for dysplasia. 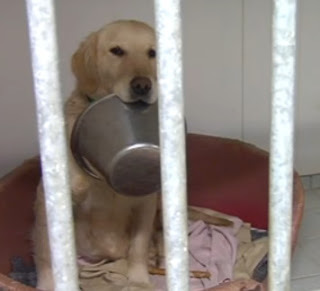 "Helle" didn't want to euthanize unhealthy puppies. One day I asked why she didn't bring one pup from a littler, which had no joints on its front paws. She didn't want me to mention it. But I asked the vet behind her back what I should do. He then called up and euthanized him himself. "Helle" was angry and said it was too expensive. Some puppies were very small and weak with big bellies, they looked like they had rickets. If I asked "Helle" why they look like this and if they will grow healthy, she explained to me that Hovawart have very bad milk to feed puppies and I'm too young to understand. But my parents always had high quality Schnauzers, with a littler every few years, so I know how healthy puppies should look like. As soon as the puppies looked more or less good they were sold." "Only few dogs were imported or bred from other dogs and I remember some dogs were bred from only one generation in between. "Helle"'s daughter told me who is who and also I saw some of the dogs didn't look for me as they would produce good offspring. As a result, a lot of the puppies had abnormalities, such as no joints, very weak, etc." "When I came some other girls from my country already worked there before me. They were both professional FCI handlers and also came there just for extra money. "Helle" paid less than we should earn. Only 200 dollars a month. I didn't understand why "Helle" was so stressed all the time, we had to hide in the kennel if the police was passing by or the mailman was coming. As I found out later, we were not officially registered workers. But pups were sold for 1000 or more dollars abroad." Two months later, "Gill" left. Today I turn the blog over to Elizabeth, who has a very heart-felt and impressive tale to tell, how she got Hamlet from the Danish puppy mill. I have wanted a Hovawart since I spotted the rare breed in a “What’s the Right Breed For You and Your Family?” sort of book back in the late 1990’s. An early irony in this story is that I felt conflicted about paying for a pure bred dog when there are so many in need of homes or that have been victims of puppy mills. However, I loved the description of Hovis as intensely loyal, protective, yet good with the family. I contacted the closest breeder to me, a gentleman from Canada, and he and his very kind wife allowed my then fiancé and I to visit them and to pick out a blonde male Hovawart puppy. The puppies were too small to leave their mother, so we returned home to wait for them to grow a bit; this was during 2002-2003. Meanwhile, I was traveling to school, taking many classes to complete my degree while teaching full time, and I developed mononucleosis with complications—after much heartache and debate, we decided against collecting the puppy. The Canadian breeders were especially kind to us in the circumstances. From this experience, I developed the romantic notion that Hovawart owners, like their dogs, were a special breed: kindred spirits, if you will. I am still saddened to think of that lovely blonde puppy and those kind neighbors to the north. I waited the eight or nine years until my husband and I had purchased a home of our own, near the school where we worked. I saved money, about $1500, and then I tried to contact the gentleman from Canada, but I didn’t hear back. I was never sure if it was because his contact numbers were different, or if my earlier situation had made them feel as though they could not do business with us, but I never heard back from them. It wasn’t easy to save that money; we have four kids, three in college and I am also in college, working on my doctorate in education. So, I began to search for a different breeder. I saw Hovawarts from Great Britain, and Hovawarts from many other countries. I emailed a couple of the contacts listed on the sites that were in English and did not hear back. I knew that the Canadians had brought Hovawarts from Europe—was it possible that I had been somehow “blacklisted” after my involvement with the Canadian puppy? Then a different site, www.hovawart-puppies.com caught my attention. It was in English, and it invited email or telephone contact. I emailed sometime in the third week of April, and received an immediate response. A litter had been born April 8, just a week or two prior to my inquiry and there was a little black and tan boy available. "Helle" [note Kenzo: pseudonym], whom I understood to be the owner of the mother of my puppy, but not the breeder, was a very prolific emailer. I sought clarification on Hamlet’s parentage, and I should have realized that something was amiss, for the responses to those inquiries were somewhat vague, but I was so excited to be in contact with another Hovawart owner. We talked on the phone, finally, and she assured me that these were purebred Hovawart puppies. I was foolishly satisfied, for she sent me many emails about the litter and the particulars of the breed. She appeared to be a very responsible owner who cared deeply for these dogs. I do not know now, exactly, what her connection was to what appears to have been a puppy mill. After what had happened with the Canadians, which I disclosed to her, I offered to send her references, but she also seemed ready to trust me. I realize now that I was so worried that I might have been “blacklisted” in what I thought was the small Hovawart community, that I was not as direct as I should have been about Hamlet’s parents and situation. I was just grateful that "Helle" would trust me with a puppy from this lovely breed. At one point "Helle" sent me a Google Earth link to her home, and what I understood to be Hamlet’s home as well. Imagine how I feel to see the same house, from a slightly different angle, on Leo’s blog, looking rather more decrepit than it did on Google Earth. I ran the cursor on street view past that house many times, imagining myself visiting Hamlet and picturing him curled up on their floor or couch. Little did I know that he was probably living with his siblings and mother in a very different kind of situation. On the telephone, "Helle" promised that Hamlet’s papers would be with his shot records and the other papers necessary for him to enter the US. On the appointed day, I traveled to Newark, NJ. I was so excited. "Helle" emailed and phoned me, and I emailed and called her each step of the way, from my cell phone. My name is Hamlet, and I am going on my very first trip out of Copenhagen to my final destination Newark/USA. I am traveling with SAS on flight SK909. Please handle me with lots of careness (sic) and please take me out for bathroom when needed. Tell Mister Pilot that he have a very special Hovawart puppy onboard his flight who is loved by many people. I have this card next to me right now, and I wonder how so much effort could have been put into this one puppy if this, was, as it seems now, somewhat of a hoax and he was just one more puppy from an active puppy mill. Taped to Hamlet’s crate, there was a doggie “passport,” a very official looking booklet with his shot records and worming records, and I did get a laminated book called “Owner’s Certificate and Book of Health.” Beneath it read, “Hovawart Hamlet.” On the back, it read: “ Continental Kennel Club, CKC International Official Seal. “. I was so enamored of my puppy that I only glanced quickly at the paperwork. When I went to the vet, however, to have Hamlet checked over, he indicated that there wasn’t a lot of information about Hamlet’s genealogy, and that I would need a lot more documentation. He also agreed that Hamlet had some skin issues, but he prescribed a careful diet, special shampoo and fish oil to help him. To this day, that is how we maintain Hamlet’s itching, although he always has some issues with his skin and an extremely sensitive tummy. As soon as Hamlet arrived, "Helle" used me as a reference for a caller from South America, either Brazil or Columbia and for someone from Japan, each inquiring about her puppies. However, after I asked again for registration papers, there were no more referrals. I did wonder how there were more puppies already, but I chose not to think about that. Hamlet is an integral part of our family now. On Facebook, again due to having become friends with "Helle" and then reaching out myself, I realized how many countries have happy Hovawart owners. When I saw Leo’s posts and I realized that we had a part in supporting what appears to be a puppy mill, I was devastated. The skin problem, we dealt with. The concern regarding registration papers, I had decided to put behind me. My heart breaks, because the "Helle" I know loved Hamlet. She told me she cried when she sent him to me. He did come to me a well-behaved, socialized little fellow. He did immediately seem to understand that he was to love and obey me, and I felt that he had transferred his affections from one lady to another lady who was now his owner. My heart breaks because now I feel as though I might be betraying "Helle", and I am truly saddened by that. I saw "Helle" in my mind’s eye as an extension of that home that we visited in Canada, so clean, with the responsible owners who shared our excitement for this breed. This, unfortunately, seems not to have been the case with Hamlet, and that’s why I am writing this letter. It’s hard for me to accept that I contributed to the support of a puppy mill. I didn’t do enough “homework,” despite the calls, the emails, the questions and the references. I hope my story helps others to be more careful, and I offer my apologies to the Hovawart community for being careless. I am so sorry for that, and my heart breaks for the dogs who were euthanized and for the dogs who were traumatized—I’m a part of that, like it or not, by virtue of purchasing Hamlet. My husband and I would like to do what we can to make amends; perhaps sharing our story (not as a tragedy, for we love our amazing dog) but as a cautionary tale is a good first step. 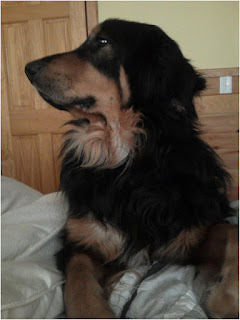 Before I finish, however, I want to emphasize that Hamlet is a beautiful, even tempered, well-behaved dog. He is loyal to a fault, protective, absolutely everything that I dreamed a Hovawart would be. He’s definitely my dog and sees me as the top dog in the house, which makes my husband laugh. He’s smart and gets along well with our cat. He isn’t just attached to me, however; he watches our youngest son like a hawk and snuggles at night with whomever will allow him onto their bed. He’s not perfect; he does not always come when he’s called, and he hates busses. When the school bus comes, we must be careful that he is inside or he will stand in its way! He is a character and beloved by our neighbors as well for his beauty and his friendly nature. We are lucky and thankful to have him, and I hope that it makes up a little for the decision we made more blindly than we should have. I can't thank you enough, Elizabeth and Hamlet, for sharing your cautionary tale. I have nothing to add, other than that you are very much part of the Hovawart family. We are sorry too, we couldn't have helped you earlier. We all rejoice, that Hamlet is loved and cared for, no matter where he comes from. 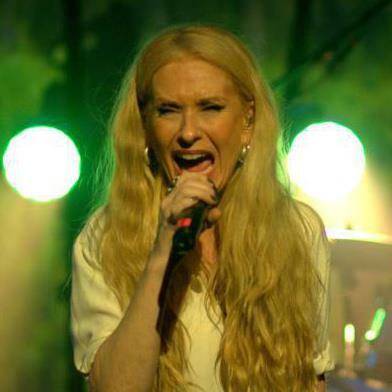 I am very excited to introduce you to our latest Hovawart Wizard, Jan! Jan is a repeat offender on the blog, as she wrote Hovawarts On A Raw Diet last week. Today, you can get to know Jan and her Hovawarts a little better. Hovawart Wizard: My name is Jan and I am the proud guardian of two hovawarts as well as a flat coated retriever. We live on the west coast of Scotland near Oban and I manage a group of holiday cottages on Ardmaddy Estate. I am also a Bowen practitioner. I’m very lucky in that my dogs come to work with me and very rarely are they left at home. Hovawarts: All my dogs are girls – the eldest is Tussock who is nearly 7, Talulah (the flattie) is four and a half, and River is eighteen months. My affair with hovawarts began seven years ago – visiting with my husband’s family, we were out walking in the Forest of Dean in Gloucestershire. 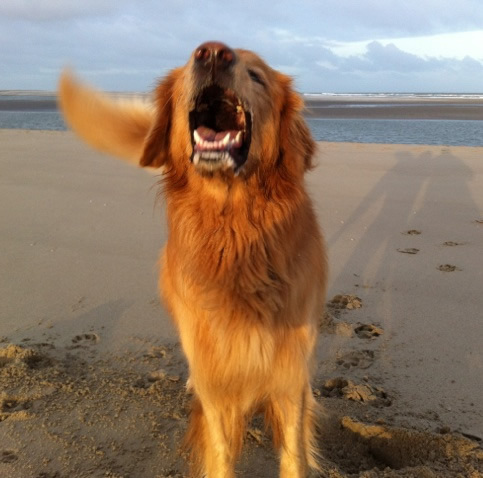 This wonderful looking dog came into view with its people – large, hairy, handsome, friendly, proud. After a conversation which included the immortal words “a hova...what?? ?” we went away intending looking up this breed on the Internet. I did so that night – and I loved what I learned. This was my kind of dog. On returning home, we set about finding a breeder and came across Min Inches in Scone. Min was the person who imported the first hovies into the country and she still breeds a litter from time to time. I struck lucky as she had a litter on the way. We were asked many questions – why we wanted a hovawart, how strict/consistent we would be, what we would be doing with them, if it would be a companion and not just left alone in the yard and how we would socialise them – very important! We made the grade in terms of our past dog ownership, where we lived, the kind of life we could give a dog (we already had a collie and a Labrador) and, I think, the fact that Larney, the mother-to-be, decided she liked me by curling up on the sofa beside me – something I don’t think she generally did with strangers. It was a different matter when we picked up Tussock – Larney looked like she might just eat us given the chance such was her protective instinct for her pups. Tussock is a kind, gentle, caring, sensitive and intelligent dog – she is very tuned in to my moods and hates if I am upset, or angry. Her favourite games involve tennis balls, sticks, a large basket ball that she plays football with and hunting for hidden treasures. She loves to be brushed, to swim, chase rabbits and to eat. Whilst generally friendly with anyone, she is very protective of her own property. With people she knows and loves – well, her greeting is enthusiastic to put it mildly. River is a different character all together. She was bred by Val and Steve Shone in Surrey. I originally went down there to pick up and bring home an all black puppy. However, River made the decision for me by swallowing one of my earrings! I did get it back a day or so later! At only eighteen months, she is still very puppy like – and incredibly cheeky! Her favourite activities are running, jumping, swimming and tormenting poor Talulah. Despite my best efforts to cure her of the last one, I am not succeeding! Yet. When we set off on a walk, she is like a champagne cork out of a shaken bottle. She makes Tussock look like a lazy old woman! Talulah was my husband’s choice of dog, but on our separation she stayed with me – she is very sweet, and long-suffering of the sometimes brutal play that hovies engage in. She’s a kindly soul, and I have to make sure she gets her share of attention. All my girls are un-neutered. The cost of having them done is rather more than I can afford at the moment, but whilst it is generally well documented what the benefits of neutering are, the drawbacks and contraindications of having them done are not so well known. My decision now is to leave them as they are – there are risks and benefits with every choice in life. Their seasons are easy enough to manage for me in where I live and my lifestyle. I chose to buy puppies rather than adopt an older dog as I really love having a pup about the place, and it does bring about a fantastic bond. That said, if an older dog needed a home, and I was able to provide a home, then I would certainly consider it – although the girls may have the last say in such matters! Our daily routine does vary depending on what job I have to do that day. If I am cleaning cottages, the girls can play in the garden. If I am gardening, then they “help”. If it’s paperwork day, they just sprawl around all day. Whatever the day is though, they have a good walk everyday – they can run free, swim, play, chase balls, generally letting off steam and releasing energy. They are generally obedient, but a bit more training wouldn’t go amiss! That is my intention for this year. Tussock loves to work with a clicker, and you can see her brain working. What I love most about my dogs is their loyalty and their wish to be with me – and that feeling is quite mutual! It doesn’t matter where I go, they want to go too. So, if I have to go upstairs, or to the loo, I am usually accompanied by at least two of them. I also love that they are friendly with people whilst still looking after me. They are great with other dogs, too, although occasionally Tussock has flattened one that has obviously said something rude. She never hurts them, but she can make a lot of noise! I am fairly tuned in to her body language and can judge whether she is likely to have a go. She does NOT like dogs that run around yapping. Hovies are special dogs. They are intelligent but it is a thinking intelligence. They are obedient, but not push-button. They are tremendous all rounders and continually amaze me in how they learn a new job very quickly. I feel safe with them and trust them. They are my friends and companions and I cannot see a time when I won’t have at least one hovie in the house. Hovawart Wizards, like Jan, try to provide real life information for Muggles - those not yet touched by the Hovawart's magic - to learn more about Hovawarts in the Hovawart School of Witchcraft & Wizardry. A place where Muggles can read how we play, what kind of training and activities we undertake. What makes Hovawarts special to us, and how they made us into Wizards. The role they came to play in our lives. And the hard times we shared. Helping Muggles to make the best choice possible if a Hovawart could be the Magical Creature for them, or at least what to expect. Four Danish celebrities decided enough is enough. They paid a visit to the puppy mill and sat down with the owner's daughter and son-in-law, and convinced them the dogs should leave now. They then called in police and "Dyrenes Beskyttelse", who moved all the dogs over to the shelter in Roskilde, where they were reunited with the dogs already rescued last Tuesday. What a finale. Heroes came to the rescue. Who are those amazing people? Meet The Fantastic Four: Sanne Salomonsen, Lise Steinhausen, Anne Campbell and Mikael Tzunami. We can't thank you enough for what you did, I am deeply touched by your actions, making such a heroic act to wait not a minute longer, and save the last remaining dogs from that hell on earth. The news came out on Facebook first, and while I write this, rumors and facts are added to the story. The story doesn't seem - almost 24 hours later - to have hit the press yet. We have to wait for more news on how the health of the dogs is and how they are doing. Apparently it was when The Fantastic Four read the interview from the vet of "Dyrenes Beskyttelse", in which she made a huge shout out, that it is incomprehensible this has been going on in Denmark for 10 years - what triggered them to act. The puppy mill owner tried earlier on the day to move five dogs to another address, but that was discovered, and The Fantastic Four made sure that those dogs were seized too. Both Anne Campbell on Facebook and Mikael Tzunami on youtube, confirmed that all dogs are rescued, and Mikael explicitly mentions the five. The police must be glad to hear this, because trying to hide the dogs in another properties is, again, a criminal act. The list is getting longer and longer now for the puppy mill owner. So here the first chapter of this story ends. The dogs are rescued, and also before the feared date of February 1. In just over a week, it touched people like you and me. In Denmark and all over the world. And not just touched, but made us act as well. Yesterday I called it a grassroots movement, growing its own legs and out of control. Today when we finish the first chapter, it is more like a revolution of the people. Where authorities and police didn't act, and (inter)national media was silent, people took over and did what they know was right. With the result that all dogs are safe today. It is time to celebrate, and I will make a toast for all of you, and to The Fantastic Four. Earlier today I took a walk with Kenzo & Viva - picture on the left. Seeing them romping around fills me with so much more joy and happiness today than usual, knowing all their rescued friends are doing exactly the same today, for the first time in their lives. I am sure you have similar feelings when you look at your own dog today. When we finished celebrating, we can open the next chapter, to make sure the puppy mill is closed down once and for all, and cannot make a come-back as they did in the past. Or that another one could fill their void. We'll open that next chapter soon, first, let's celebrate. How would you feel if you were a Police Chief of a small, peaceful and quiet town in Denmark, and the eyes of the world are suddenly upon you? When the press is lined up for your next statement? When management complains about all the mails and letters they get? Niels Denny Sørensen, from the local police in Næstved, Denmark, now knows exactly how that feels. Niels knows every move he makes since the story came out, is under a magnifying glass, and today confirmed that once more. We met with Niels to handover the petition with a 1000 signatures and we talked for an hour in which we tried to voice our/your concerns as best we could. I do believe your voice has been heard, and Niels - the decision maker that can get the dogs out - has became very aware of his responsibility, if he was not already. The police will not get the dogs out before February 1, despite the pressure. But I am confident the next time the vet says to him the dogs can "survive" until February 1, Niels will ask the question "last time you said that, 6 dogs died". We got promised the 33 dogs that remain in the puppy mill are checked up with more regularly so it will not repeat itself that dogs have to be euthanized when seized on February 1. Another promise was, that the owner is not allowed to keep the last 10 dogs, when the whole group of the 33 dogs that are still in harms way is not sound and healthy on February 1. It was one of our major concerns, if the puppy mill owner would still be allowed to have 10 dogs after February 1. That is now of the table. The vet of the animal welfare organization of Dyrenes Beskyttelse will also be part of this evaluation, so it is very unlikely, listening to what she said in the press today, there will be a single dog left in the puppy mill after February 1. "if any one could can come forward that bought a dog from the puppy mill after august 2012, it would close them down once and for all, as their license is revoked and it is punishable by criminal law when they would still be selling.". Let's shake our Hovie network for this one, it must be possible to find one of the many sells they made after august. It will not only secure all dogs, it will simply close them down forever. Did you buy a puppy at hovawart.dk, not knowing all of this? Please contact Niels at ssj@politi.dk or send it to me, if you would like me to mediate. How are the ones rescued doing? It turned out one of them was expecting. So we can soon add between 6 or 10 to the ones rescued. Those pups will fly out of the adoption door for sure, the first generation of the puppy mill that will get the start in life they truly deserve, has already begun. Change is a fact already. How awesome is that. The vets of "Dyrenes Beskyttelse" were also in the news today, and made a huge shout out, that it is incomprehensible this has been going on in Denmark for 10 years. So many people tried to focus the public eye on the puppy mill before. Their blogs were closed, their Facebook pages closed, people where threatened by mail and nasty laywers sewed left and right. The power of money does ugly things. They tried to silence Pia Skovmose, tried to put yours truly's blog out of service. But they cannot escape the top guns and your loud voice. A big leap was made today, as finally an "official" and powerful organization dared to say what many in Denmark have said before but were silenced by the puppy mill. We chose the right time to stop this puppy mill once and for all. We are a 1000 "Hovawarts", and we are not alone. Another day, and again progress. As I write this, the counter shows we reached our target of a 1,000 signatures. In just 4 days. How can I possibly even start to thank you for this? I am deeply grateful and in awe over your involvement in this case. Pia, Merete and me will jump in the car tomorrow and deliver your signatures to the Chief of Police, Niels Danny Sørensen. Niels is the actual nr.1 person in Denmark that can push T.H.E. button for the final 33 dogs to get out now. Will Niels be my next best friend? We'll find out soon. Thanks to the growing media attention we can show you this video of the first group of dogs - press play above - that were rescued yesterday. And please do press play, there is no scary footage, just dogs that celebrate their first day on the way towards a new future. The clip about the dogs is from about 30 seconds in, and around 2½ minutes long. The video, shown on the network TV2 Øst, is in Danish. In short, you will hear Rikke Christenen-Lee, the veterinarian of the animal welfare organization "Dyrenes Beskyttelse", say: "Their fur hides a lot, but when you look closer you will first see the bad shape they really are in." Rikke continuous: "This is a very disturbing case of severe neglect, it is incomprehensible the police have not acted in this case and seized the dogs earlier". The dogs were not abused: "We cannot find any evidence somebody actually did try to harm them physically, they are in a bad shape caused by pure neglect". Police Chief Niels Danny Sørensen was also interviewed, and on the question "Do you think you have responded to this case in good time?" his answer says it all "That's always something you can discuss, but we responded based on those standards we use and the statements of professionals we received." Stop. Did Niels just answered "No"?. It sounded a lot like "No, because our standards were not equipped for this, and our veterinarians were wrong". Back to the dogs. 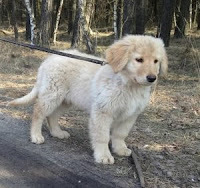 There were rumors that they also still bred Golden Retrievers - originally they had two kennels, one for Hovawarts and one for Golden Retrievers - and the footage confirms this. There where a couple of Goldens among them, I have no numbers yet. But boy, I couldn't do anything else then smile when I saw this Golden on the right keeping his dog bowl in this mouth with an expression on his face like he landed in heaven. And they did land in heaven. The staff of "Dyrenes Beskyttelse" are professionals. Vet's, behavioral experts, facilities. They are exactly in the place they need to be right now to have their "mental timeout". Earlier today i talked with "Dyrenes Beskyttelse" about all of you that mailed me you would like to adopt one of the dogs or volunteer in the shelter. They were so happy to hear that, especially because you all were experienced Hovawart owners and some of you had a dog with issues from the puppy mill before. It also warmed my heart, when you, some of you heartbroken about the issues you had with your pets from that place, directly opened that same heart once more to adopt, very well knowing what you are possibly getting into. "It will take time before the dogs are fully recovered. They each will get their own health plan, and have to be re-socialized, before we can go to the next step. Only our professional staff is working with them now. First when they are healthy and can function as family dogs, we will set them up for adoption." When that goal is reached, and I am sure they will, all dogs will be set up for adoption over here, where you can apply. The first dogs are saved. They were handed over by the owner into the care of the animal welfare organization "Dyrenes Beskyttelse". They are as we speak in the shelter of "Dyrenes Beskyttelse" in Roskilde. The staff in the shelter are first and foremost giving the dogs a "mental time-out", considering that the dogs have never been outside before and only have seen the inside of a cage their entire life. They are all in poor shape. They are underweight, have bad teeth and open wounds. Their fur is matted and dirty. But they are safe, rescued from a life of torture and are now making their first steps into a new future. They will be fed, their wounds healed and their fur cleaned. 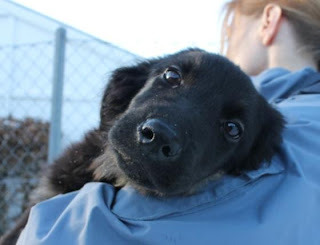 All dogs will go up for adoption, but first when they are ready, received the proper care and are re-socialized. Something we can all rejoice. Remarkable is that this first group of dogs are given up by the owner of the puppy mill voluntarily. "Dyrens Beskyttelse" is in a continuous dialog with the man, and yesterday he agreed to hand over some of the dogs. When they finally went into the stables to get the dogs, the sight they met was different from what was told by be the police though. "we could retrieve 23 dogs in agreement with the owner. After seizing the dogs and moving them to our shelter in Roskilde, 2 unfortunately had to be euthanized immediately, as they were in very bad shape. After their first medical examination of the others, 4 more dogs had to be euthanized. Unfortunately we found 33 more dogs on the property. Vi hope to convince the owner to hand over the remaining dogs as well, so they can receive the necessary care and medical treatment as soon as possible." The "official" number so far of dogs inside the property has thereby gone up, as there are not 40, but as much as 55 dogs found inside the property. It is not only unfortunate that the number is higher than first was given, it also makes me doubt about how thorough the investigation of the police and their vet's has been, when you miss no less than 15 dogs. Looking past the numbers, the bigger picture is that "Dyrenes Beskyttelse" is actively coming into the case now and they have established a dialog with the owner. The first dogs are saved. Most of them are still alive and looking at a new future, for others their suffering has at least ended. All in all positive turn of events and hopefully the developments keep going as fast as they have been going the last couple of days. Then we achieve the goal of having the dogs out as soon as possible, instead of February 1, which is still the plan the police would like to follow. And a final message to all the fellow campaigners that read this. There is more focus on the case now. The Danish Kennel Club reported about it today and "will ensure authorities are aware of the events". Politicians are now starting to answer the mails we send "because they see there is a lot of concern and they have received multiple inquiries about the issue". One journalist, Allan Grassberger of the paper "Dagbladet", is now reporting daily about the puppy mill, and he will include our petition in the next article. Thank you all for your writing efforts, it is a huge job, but it also is bearing fruit. Wonderful news today. Anja Maindal, owner of a dog holiday boarding facility, offered to house all forty dogs from the puppy mill. Heroes do exist. Or is she a saint? She is probably both. Anja's dog holiday boarding facility is in the slow part of the season right now, and she has plenty of room to house the dogs so they can be taken care of. Even better, Anja is also an educated behavioral specialist, so she could work with the dogs that have socialization issues. And we can make a best guess, after what these dogs have been through, deprived of human contact and living in cages, they probably will need it. With good news there always follows some sour too, unfortunately. The police still doesn't act and didn't accept Anja's offer. They send Anja over to the Animal Welfare organization "Dyrenes Beskyttelse" and those two together now have the plan to try to talk sense into the owner and see if they can get the dogs. The police could have ended it today once and for all, and they have the possibility to do so based on Art.21/22 of the Animal Cruelty Act. The next I write is purely guessing, but as animal welfare has such a low priority (read: budget) the police probably doesn't want to pick up the bill, which they should when they seize the dogs and house them. Let's cross our fingers for Anja, and that the talks with the puppy mill owner have a good outcome. Other positive news is that the national media starts to show interest for the story, which would give a lot of exposure. Nothing published yet, but they are informing themselves with yours truly. Undoubtedly created by the petition you all signed and shared so vigorously together with those of you that participated in writing personal emails to authorities and the press. In less than two days, you already collected more than 500 signatures. 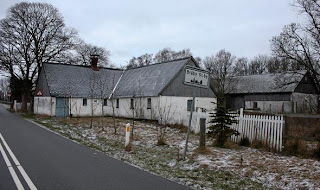 If we can double that in the next two days I am going - together with any of you that want to join - over to the the Mayor of Faxe, and handover the petition. Please drop me a mail or a Facebook message if you would like to join. If you have not read sunday's post, the short version of what happened is that a long-time Hovawart puppy mill in Denmark is melting down due to economic and health issues with the owners. Fourty Hovawart dogs inside the puppy mill are caught in the middle. They live in an abandoned property, severly underweight and are being neglected. Police has given the owners until February 1, to bring things in order. The Danish Animal Welfare organization, "Dyrenes Beskyttelse", fears for the dogs survival and is afraid they won't make it that long. Today we learned that the health and economic conditions of the owners are very severe. The property - with the dogs still in it - is foreclosed, and the new place the owners moved to, soon has to be abandoned as well. It is very likely the owners will not be able to recover their business. We also learned the police fails in handling the situation. They revoked the puppy mill's license based on the the Danish Regulation For Commercial Breeding. A good step although long overdue. More important, they neglected to address the state of health of the dogs. The dogs are in such a bad shape, that this is not about a breeding license, this is a downright animal cruelty case, and falls under the Animal Protection Act which obliges the police to either seize or euthanize the animals when the owner apparantly is not able to take care of them (Art. 21 and 22). The police won't move unless asked questions by politicians. Politicians won't move if we don't tell them loud and clear: There is only one priority at this moment. The dogs must get out of there. Now. The petition targets the local Chief of Police, the Mayor, local Town Hall members, and the Danish Minister of Agriculture and Animal Welfare. If you would like to send them your own letter or e-mail, that would even be better. We can give you more information from inside the puppy mill soon, as one of their former employees has come forward with her story. But first we have to get the dogs out. Please sign and share with your friends. I know you will, you love dogs as much as I do when you read this blog. Thank you. Today I turn the blog over to Jan Wolfe - raw feeding advocate and Hovawart enthusiast - to learn more about feeding raw. Something I have struggled with for a long time, and kibble is so convenient. I also noticed more and more Hovawarts are on a raw diet. Jan gave us the last push to go raw. Reading Kenzo’s blog, and in particular, about Viva’s health problems, led me to contact Leo to ask him if he had ever considered feeding a raw diet. It turns out that he has, but had found it hard to find enough information about it to be able to do so with confidence. He invited me to do a guest blog, and I am delighted to do so. I started raw feeding my dogs some 14 years ago. We had a young Labrador with food aggression problems and a speed-eating “disorder”. He was also a generally difficult dog – we had adopted him from the local rescue kennel at around six months of age and we had no idea of what his early months had been like. We were advised by the kennel to feed him a certain dry food as it was a complete diet specially designed for a growing dog. I felt very sorry for him as this dish of brown cardboard pieces would last him about 30 seconds at the very most. I don’t think it touched the sides. Some months later, we were still tearing our hair out with him and to add to the existing issues, he now had very itchy and smelly skin. It was whilst seeking advice on how to deal with the food aggression that my path crossed the subject of raw feeding. Raw feeding? What did that involve? Bones? Chicken bones? Surely dogs cannot eat chicken bones? How do you make sure the dog gets everything he needs? So many questions. But then I bought a book by Dr Ian Billinghurst and my mind was blown wide open. The light bulb went on and has never gone out. 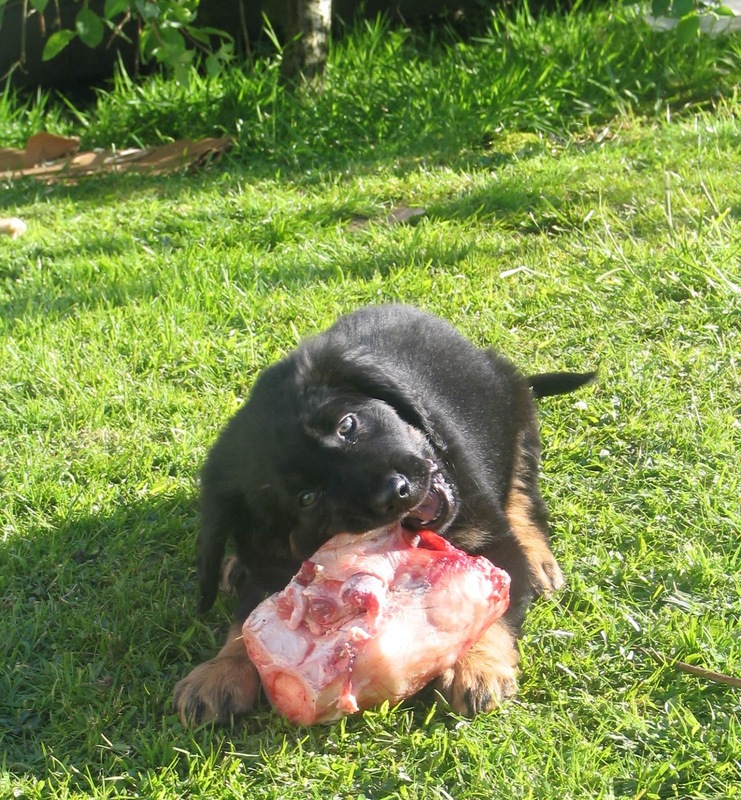 It was rather daunting at first – I remember giving Sisko his first bones and wondering if I was going to be rushing to the vet later in the day or week. I remember his face on finishing that first meal – if he were human, he would have said “Wow!” I also remember inspecting his poo every day and marvelling at the transformation from monstrously smelly and sloppy heaps to small firm nuggets. 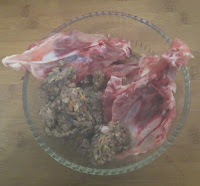 I currently have two hovawarts and one flat coated retriever and all have been raw fed since about eight weeks old. The eldest is six and a half and the youngest is eighteen months. Sadly, Sisko the Labrador died just a few months ago at the age of 14 – his teeth were still clean! The mainstay of their diet is chicken – I buy carcasses from a local butcher, and he also keeps a “goodie box” for me of any bones, scraps, stuff that is past its date for human consumption, or that has been damaged in any way. I allow them to catch the odd rabbit, and I pick up fresh road kill. I feed them fruit and vegetables, yoghurt, eggs, fish, cheese, and they are able to graze on grasses and eat horse poo. I can imagine you screwing up your nose at the last item, but horse poo is actually very nutritious for dogs! There are also several companies here in the UK that cater for the raw feeding market making it much easier for many people to feed raw. I do buy a few minces to give my dogs variety. There are also many books to read by Ian Billinghurst, Lew Olson, Kymythy Schultz, Tom Lonsdale, to name a few. Why give yourself extra work of sourcing food and providing a balanced diet? Is it not easier to buy “complete” food and be assured your dog is getting everything he or she needs? Is it not an expensive way to feed a dog? Still more questions. When pet food was introduced it seemed a brilliant idea. Years of advertising has “convinced” us that it is the only way to feed our dogs and cats. Images of cute puppies and kittens have pulled at our heart strings and we have believed that the people who make these foods have the interests of our animals at heart. Our conscience was led to believe that we would do our dogs and cats a disservice if we didn’t feed this specially prepared food. In the early days it was tinned food, and to be fair, it was probably okay stuff! 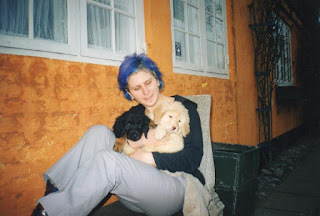 I remember my first dog ate Chappie and Winalot for much of his life and he lived to almost 17. Then kibble was introduced. Complete food. All you have to give to make your dog healthy and hearty. But is it? Are there not now more health issues with dogs? More cancers, more dental problems, more obesity, diabetes, thyroid problems, skeletal issues, skin problems, allergies, arthritis, compromised immune systems, and so much more. Dogs seem to be living shorter lives, despite all this researched nutrition. Granted, there are many other factors involved with the things listed above, but human nutritionists tells us that “we are what we eat”. They encourage us to eat fresh meat and fish, lots of fruit and vegetables, to avoid processed food, too much salt and sugar, preservatives, colourings, flavourings……. So what do we feed our dogs? Meat and fish by products that have been rendered beyond all recognition, devoid of colour, flavour, texture, and nutrients. Add to this mush several colourings to make it look nice, salt and sugar to make it tasty, artificial nutrients to make it complete, then bake it to give it texture. Finally it is sprayed with a solution containing vitamins and minerals. Oh, and when your dog has teeth covered in tartare, here’s another product to help clean them, or a special toothbrush to clean them. Oh and doggy toothpaste, too! And come to think of it – I haven’t seen many dogs able to bake, use cooking utensils, open tins, or use a toothbrush…… But I have seen dogs catch a rabbit! Thanks Jan, you have convinced us! Normally I would add a little biography of the author, but Jan is participating in the Hovawart School of Witchcraft & Wizardry as well. So stay tuned, to get to know Jan and her Hovies a little better. The notorious Danish Hovawart puppy mill "Hof-Joy", otherwise known as "kennel Hovawart", is now in serious trouble. 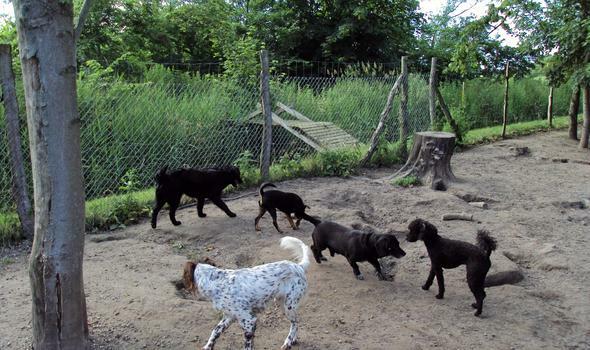 Due to financial problems and health issues with one of the owners, the kennel couldn't keep up their appearances when they were visited by the Danish police in October last year. The police found up to 40 Hovawarts in horrible conditions inside the property, and some were completely emaciated and in very bad shape. Their license to breed Hovawarts was revoked by the police and the Danish animal welfare protection agency ("Dyrens Beskyttelse") was put on the case. The property is being foreclosed and the family moved to a rental property close by. Still, the Hovawarts remained in the abandoned property. Even today the family is still trying to sell their current litters. A contact informs: "there is a litter of 10 puppies, they are 14 weeks old. One of them was sold to a person who never owned a dog before and is an alcoholic". A recent visit by the police showed the dogs were being fed, but still the circumstances were horrendous, and the police mentions in particular that "the stench of ammonia due to urine and feces was unbearable". The kennel has until February 1 to bring the number of dogs down to 10. I wonder how in earth police and animal welfare organizations have not removed the dogs already, and even gives the kennel yet another chance to survive. They have been doing this since at least 2006. What more facts do we need to make this stop? Anyhow, I wanted to have this quick message out to all you Hovawart lovers. Contact each other, contact your clubs, contact the Danish Hovawart Club, as we might expect that very soon the future of 40 Hovawarts is decided upon. Let's discuss with each other what we can do as I am afraid their fate doesn't look good. It is best to be prepared. They are probably in very poor condition and poorly socialized. There is a real risk police and animal welfare officers will euthanize them. Maybe you remember Bamira? She was recently acquired to breed more generations in this puppy mill. We reported about Bamira in Victims Of A Hovawart Puppy Mill when we heard the story of her former owner, that wanted to stay anonymous at the time. In October last year however, her owner, Pia Skovmose, went public and was on Danish TV. What will happen to the 40 Hovawarts. What will happen to Bamira? She is in there, trying to survive in that filth, with her 39 companions. This is the time, where we as a Hovawart family have to reach out and help each other, and make ready to help our Hovawarts. Please discuss with each other what we can do to help would it get that far the dogs are seized. Not only to help with possible adoptions or re-homing. But any other way we can think of. Like trying to help the Danish animal welfare organization understand the Hovawart better to prepare them, or build a network where people that adopt can refer to for advice, etc. Any ideas are welcome, and you can leave it in the comments area below, send me a mail to kenzohw (at) gmail (dot) com, or open a discussion in the Facebook group Stop Hovawart.dk. Sadly, let us hope it comes that far. Because the alternative is that the kennel will continue to spread their horror, or that authorities will euthanize most, if not all, dogs.